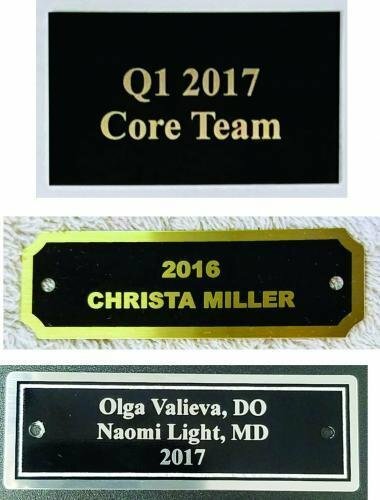 Do you need another plate engraved for your perpetual plaque or trophy? Have you had one just like it engraved here before? If so, this is the product for you! We will look up your previous order, match the specs exactly, and engrave the new text you provide. To order, put this item in your cart and checkout. Enter the text and make sure everything is spelled as you wish it to appear. We will match the formatting to your previous layout. Mail or drop off your blank plate if needed. 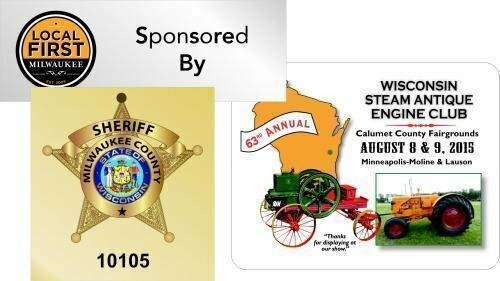 Please check your order history to determine if your plate was laser engraved or diamond drag engraved. No worries if you choose the incorrect engraving method during checkout, we will contact you and let you know the correct engraving method and price before proceeding. 2.5" x 1" black brass perpetual plate, laser engraved, with 2 holes and notched corners. Engraves gold. This item is compatible with our Fantasy Football Trophies: P5000, P5100, P5150, P5200, P5300, P5500, P5502, P6100. Laser Engraved Aluminum Plates are suitable for indoor applications. Available in black with gold or silver engraving. 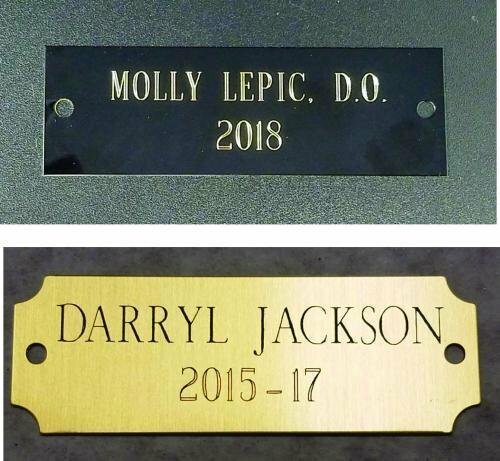 These engraved plates are used for many applications, including awards, identification, memorials, keepsakes, commemoratives and more. Add to cart to customize your plate. You can customize your engraving color, corner detail, holes, backing, finished size, personalization, and back plate. Plates are priced by the square inch. If you want a 2.5" x 2" plate, that is 5 square inches. If you want 25 of them, the 2nd pricing column applies. If you want to put an individual name on each of those 25 plates, you can add the Personalization option. A $20 setup applies per order, not per plate. Plastic name plates available in a variety of colors. Add to cart to customize your options. Laser engraved. Custom sizes available, contact us for a quote. Plastic name plates available in a variety of colors. Reverse laser engraved means the engraving is done from the back side, revealing a clear color where the engraving is. It is common to "paint fill" the engraving to give it contrast. 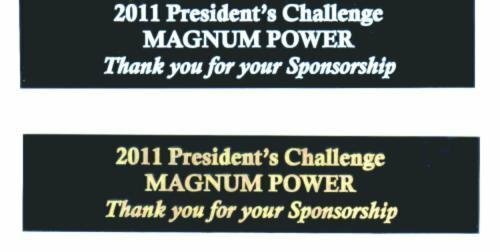 This results in a tamper-proof engraving and allows for greater flexibility of color combinations. Add to cart to customize your options. Custom sizes, material colors and paint fill colors available, contact us for a quote.